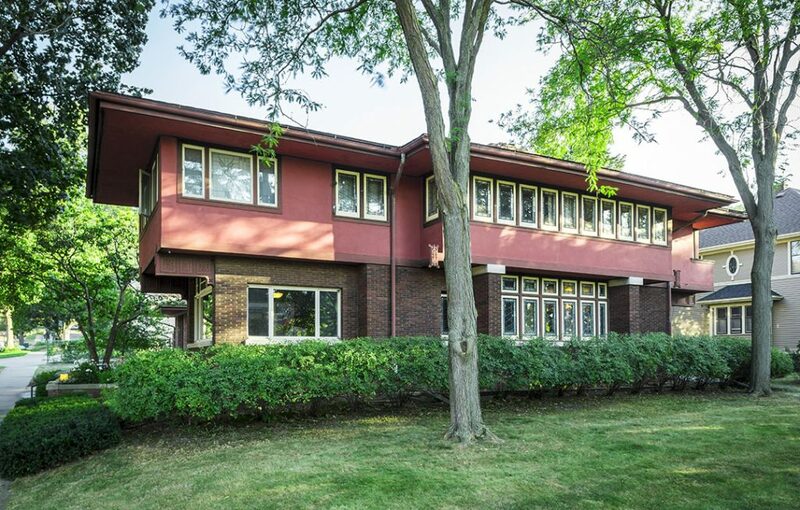 Known as one of Minnesota’s best examples of the Prairie School style, as well as one of the finest designed by its architects, William Purcell and George Elmslie, this modern home for the time was the talk of the town when construction was completed in 1913. 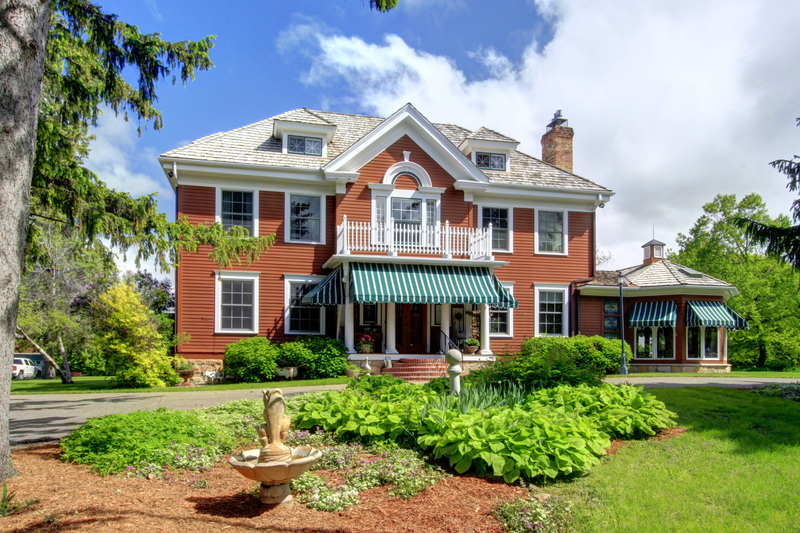 Built for Elmore S. Hoyt, then President of the Red Wing Union Stoneware Company, the home was placed on the National Registry of Historic Places in 1975. The house remained in the Hoyt family until 1976, and has only had two other owners in its long history. Hoyt was born in Kansas, arriving in Red Wing in 1881 at the age of eighteen years. 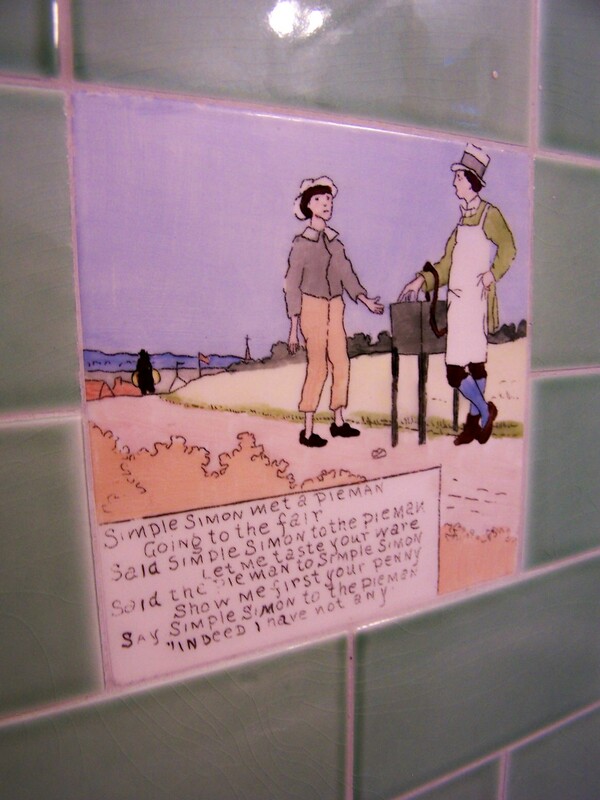 He began working as a salesman with the Minnesota Stoneware Company and eventually married a local veterinarian’s daughter, Florence McCart, in 1888. In 1893, Hoyt was named general manager of the company. He later helped engineer the merger of the Minnesota Stoneware Company and the Red Wing Union Stoneware Company in the early 1900s, becoming it’s president. The company eventually became Red Wing Pottery, a name that still resonates with collectors and enthusiasts today. Well positioned on its lot, the Elmore Sherman Hoyt House stands as a testament of the modern movement that still resonates today. Sections of the second floor cantilever over the main floor with many of the brackets featuring fret-sawn ornamental panels of botanical and geometric details designed by Elmslie. The exterior rose-colored stucco was specifically chosen by the architects to pair with the Oriental brick brought in from Brazil, Indiana. A decorative screen, befitting the architectural style, was added in 1915 by the architects to the passageway leading from the house to the garden shed and garage. 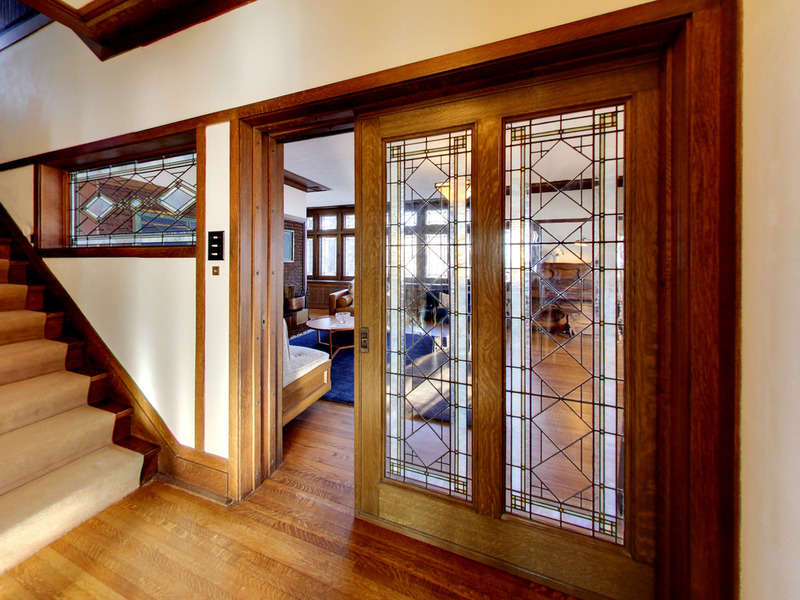 One of the standout features of the Hoyt House is the 99 diamond-patterned art glass windows arranged in long bands around the home, and inside too. Designed by Elmslie, who had an artistic specialty for ornamental motifs, the windows consist of pale, opalescent colors and clear glass to allow as much natural sunlight into the home as possible. The living room, dominated by windows, features a massive art glass pocket door, as well as a built-in bench and wood burning fireplace. 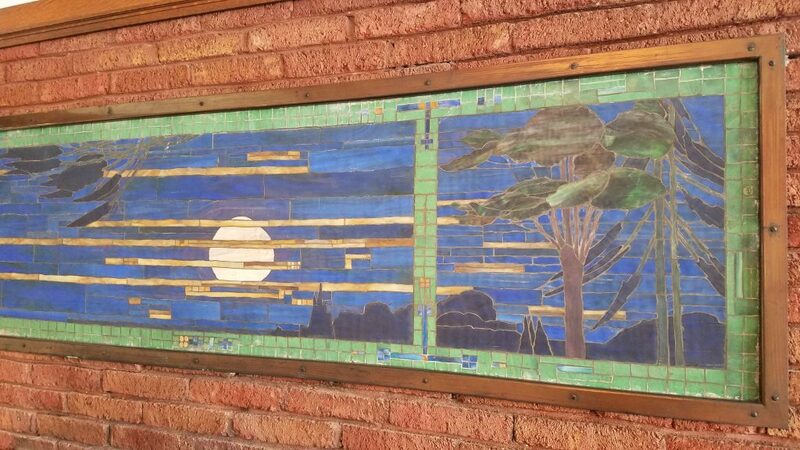 The decorative mosaic panel above the fireplace, designed by Edward L. Sharretts of Mosaic Arts Shops in Minneapolis, is made of ultramarine, green, and black opal glass and porcelain with antique dull gold leaf fired on, and depicts a moonlit scene with clouds and trees. In the dining room, two grand built-in buffets with art glass flank the entry into the pantry, where the original telephone room has been converted to a half bath. The kitchen is the only room that has had extensive updates over the years, and features a set of cabinets that were originally used in the living room as bookcases. UPDATE: SOLD It is also currently For Sale. 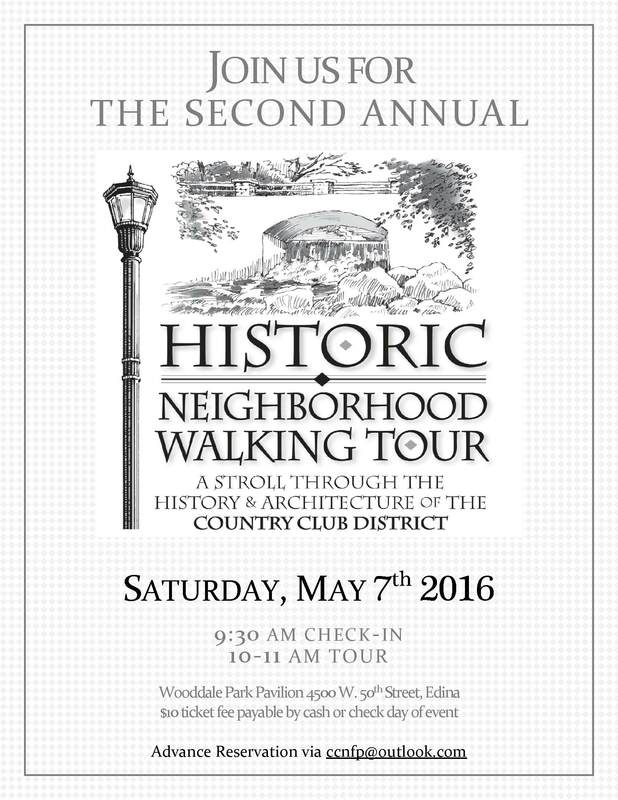 Make sure to view the 3-D interactive home tour! 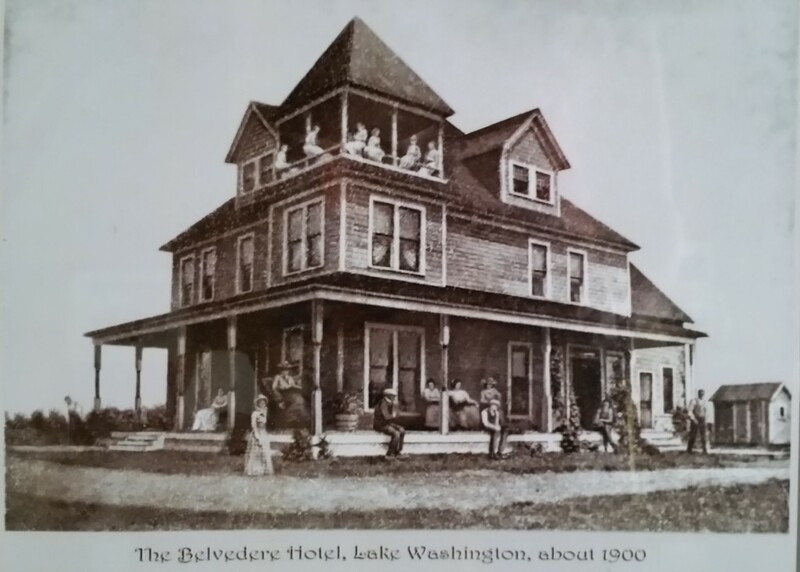 High up on a hill overlooking Lake Washington, not far from Mankato, Minnesota, a beautiful resort hotel called the Belvedere was opened to the public sometime between 1898 and 1900. It was built by Louis A. Linder, a well known businessman from Mankato. The summer hotel quickly became a vacation magnet and popular spot for honeymooners, with wealthy patrons coming from as far away as Chicago. It wasn’t an easy hotel to visit in the early 1900’s. Guests first arrived in the town of Mankato by train, after which they traveled by horse and buggy to Connors’ Farm, just across the lake from the hotel. The last leg of their trip was taken by ferry. One year in a bad storm the ferry sank, but the hotel patrons all survived. The ferry still sits on the bottom of this deep lake today. It was on a honeymoon stay at the hotel that led William and Inez Wood to purchase the building in 1921 as their summer home. They had an idea to establish a beach resort at the bottom of the hill along the lake’s shoreline. 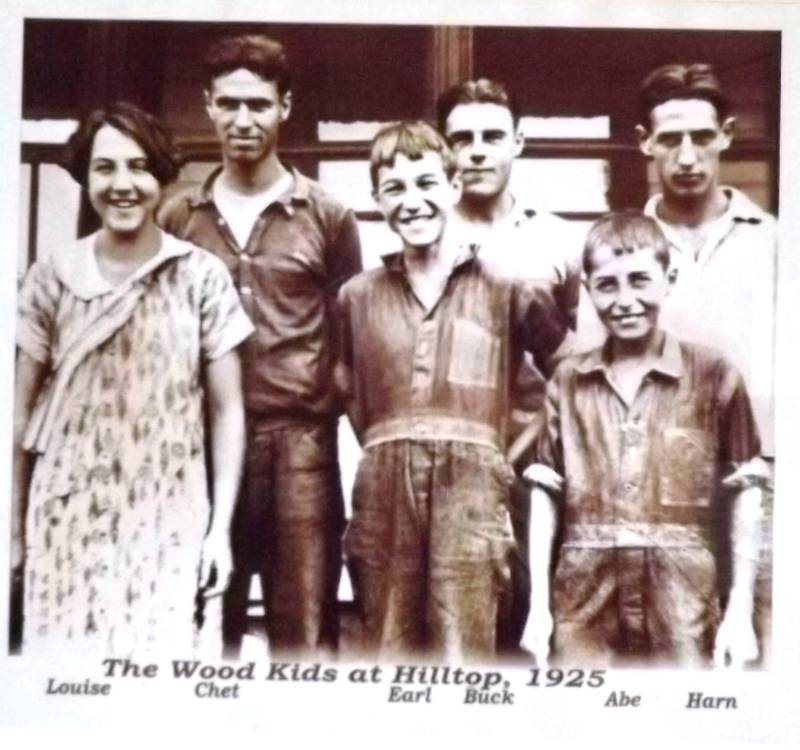 With the help of their six children, Wood’s Beach became a spectacular beach resort and picnic grounds that attracted weekend visitors from over four counties for more than thirty years. During the 1920’s and 1930’s, the five Wood sons and their father constructed an amazing array of water attractions to please and entertain every member of the family: a very high slide, a lower slide, a water wheel, diving docks, rolling barrels, and rafts. It was a big operation that rented boats and canoes, and even bathing suits. Many people at that time did not own bathing suits, so they paid ten cents to rent a scratchy woolen one, changing in a special beach house on the shores of the lake. The Beach closed down in 1948 and pieces of the original property were slowly sold off. 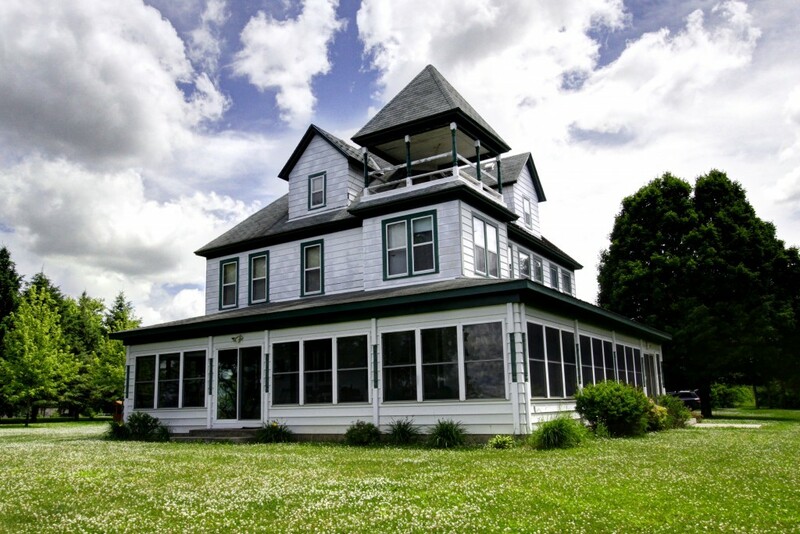 Today, the main house remains with 300 feet of shoreline and stunning views of the lake and sunsets. The money earned from summer rentals paid for the college education of all six Wood’s children, all of them obtaining higher degrees and having very successful careers. Gang and other Mafia organizations. J. Edgar Hoover awarded him three commendations for his outstanding work in the Bureau. Harland Goff Wood attained international fame in biochemical research. His revolutionary discovery early in his career in 1935 that not only plants, but also animals and humans utilize carbon dioxide for metabolic processes (“CO2 fixation”), resulted in him being nominated twice for the Nobel Prize. Harland also served on the President’s Scientific Advisory Commission under both Presidents Johnson and Nixon. After graduating from Macalaster College in St. Paul, Louise Wood worked with the National Red Cross in Europe during World War II. Based in London, she directed the USO operations for the American Red Cross for the entire European Theater of Operations. For her efforts and accomplishments in the Red Cross, President Truman awarded her the Medal of Freedom. Earl H. Wood was internationally celebrated in both cardiology and aerospace medicine. During WWII he was a key figure in the top-secret research at Mayo to develop an anti-gravity “G” suit, and perfected the centrifuge, as well as developed the “M-1” straining/ expiration maneuver to assist pilots in maintaining consciousness when pulling high G’s. 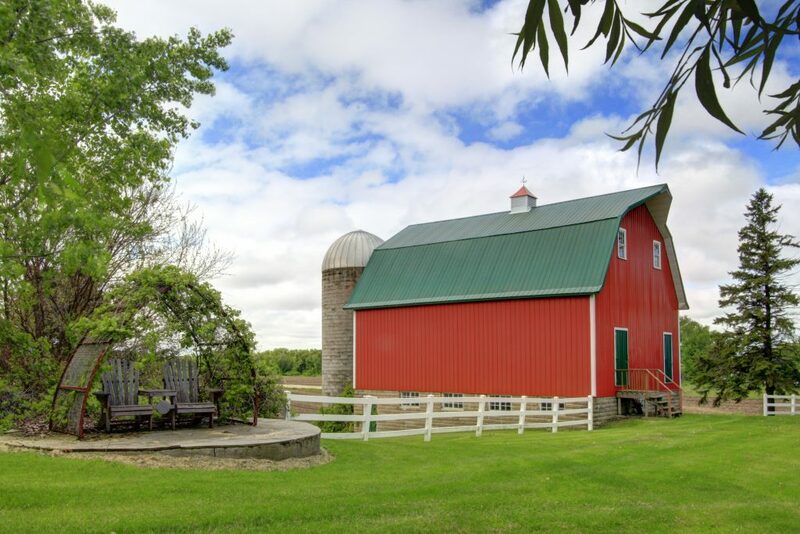 The home is currently For Sale with additional information at the property website.Used seasonally as a summer residence, the home is perfect for year round use or potential B&B, and needs updating. This historic property is looking for a preservation minded buyer who will restore the home and love it as much as the Wood’s family has for the last 94 years. 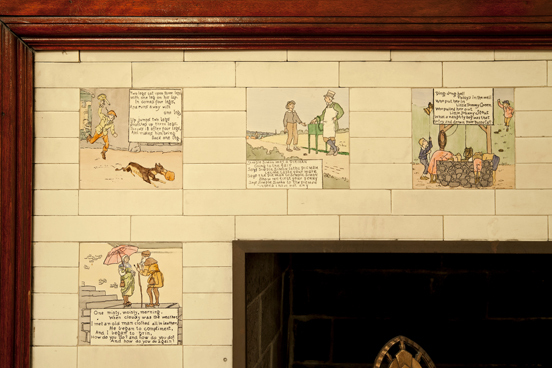 I haven’t come across them too often, but when I do, I always try and photograph the nursery rhyme tiles I find in historic homes. They seem to be in homes ranging across a huge span, from the 1890’s to the 1930’s (at least the ones pictured below). 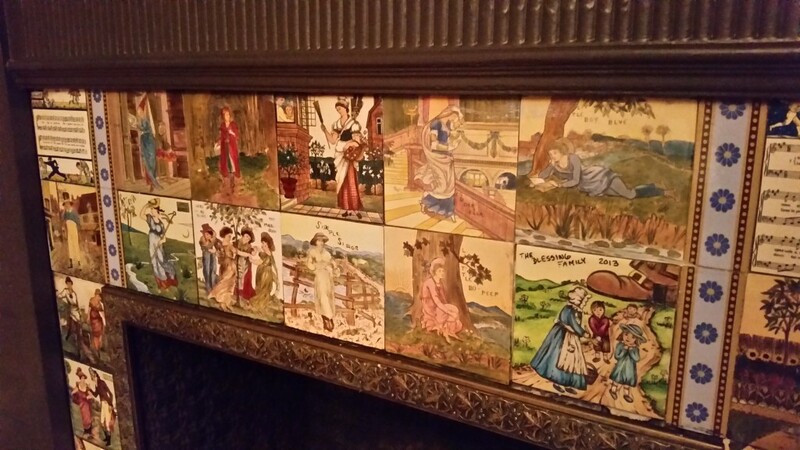 I have found them most commonly in fireplace surrounds, but also in children’s bathrooms. Of course I tell owners that they have something special and to preserve them in their natural place in the home. Ripping them out for some “new” trend borders on criminal (at least to a preservationist like me). No matter who seems them, the response is always the same…lot’s of ooh’s and aah’s from the adults, giggling like children at the site of these old nursery rhymes. So many times when hearing about historic preservation, people immediately think of some Victorian home or historic commercial building that is in need of saving. Either the home or building has fallen into ruin, seen forclosure, been destroyed by fire, been condemed by a city, etc. If it isn’t saved, it will be lost forever. But people often forget that historic preservation has no face and anything deemed to be significant to a community might be in need of saving. Case in point, a little log cabin in Wayzata (shown above). 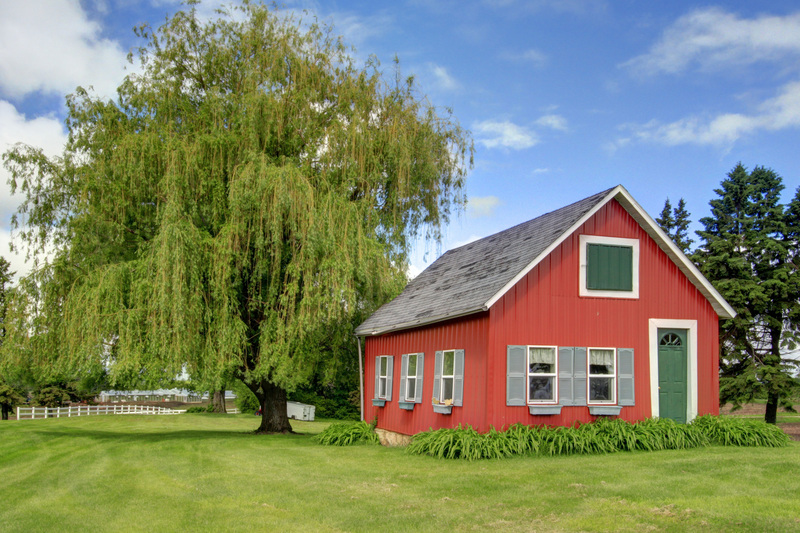 Lakeshore Weekly News, a newspaper covering the greater Lake Minnetonka area, wrote an article this month about this 100+ year old cabin on Bushaway Road that’s future is not too certain. Irene Stemmer of the Wayzata Heritage Preservation Board is looking to save the little structure, as the current property owner wants it removed. It’s amazing that the cabin has survived this long and not been destroyed by current or previous owners. Besides its age, another cool fact is that the logs of the cabin are made out of Tamarack trees that once flourished in the area, but now no longer exist. 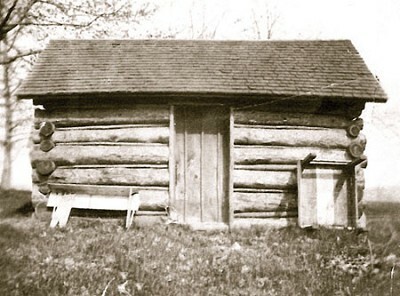 Either originally a squatter’s cabin or trapper’s cabin, according to the article, the log structure is the “oldest house in Wayzata”, says Stemmer. She is looking to save the cabin, but money for restoration and moving fees are still needed in order to preserve a part of the city’s history. If you would like to look into helping preserve this historic log cabin, please contact Irene Stemmer of the Wayzata Heritage Preservation Board at istemmer@msn.com.